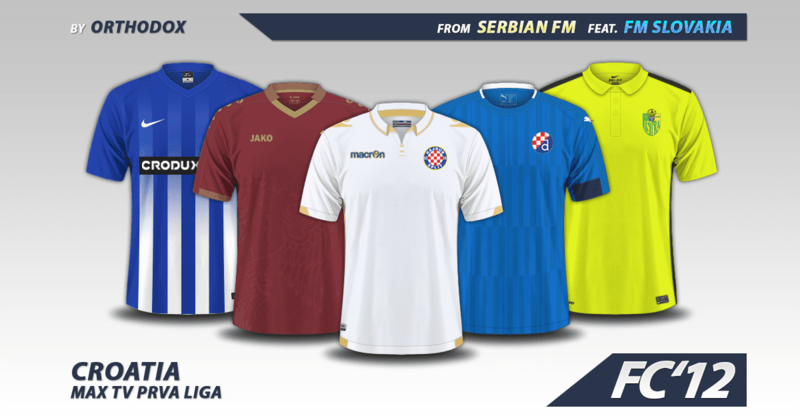 Croatia MAX TV Prva liga kitpack for season 2016/17 contanis 24 real kits; home, away and third for most clubs in beautiful FC’12 style. People who want to put FC’12 Croatia MAX TV Prva liga 2016/17 kits on other sites, you may link back to this very page but you cannot host any files yourselves. Thank you!